Love. 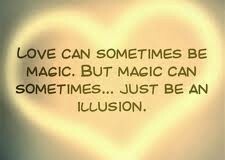 It’s simply an illusion. At least that is what I read as a person all but stated that we..
Get a Journal…it helps with everything. The day I decided to write down my thoughts was the day I found a..
Oh. My. Gawd. I am almost 30! It happens the same way, I can’t breathe, my heart is racing and I realize..
Who knew that watching the teen show “The Carrie Diaries” would hit home and give..